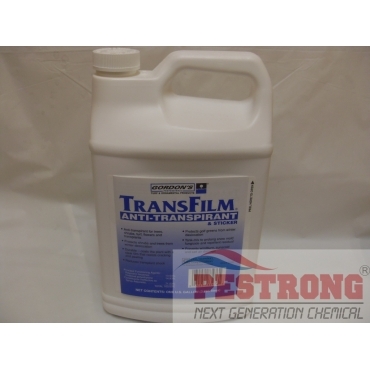 Where to Buy TransFilm Anti Transpirant, TransFilm Anti-Transpirant & Sticker - 1 - 2.5 Gal - $54.95 for Sale with Fast Free Shipping! TransFilm Anti-Transpirant & Sticker - 1 - 2.5 Gal for use in nurseries, for transplant protection, for protection of turf and ornamentals from desiccation due to winter winds, summer drought and salt sea air. By buying this product & leave product review you can collect normally 13 reward points as a voucher of $1.30(1%). Aquashade Aquatic Plant Growth Control Lake.. Applications of TransFilm can complement good water management and can be used effectively where transplant survival is the main problem.